*This issue was preceded by TMNT Mutant Universe Sourcebook #1. 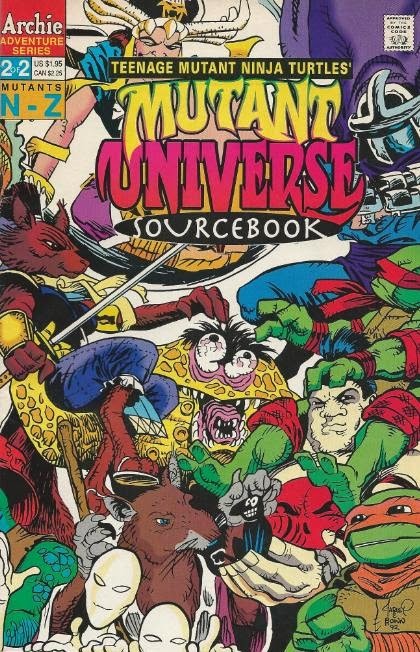 It was followed by TMNT Mutant Universe Sourcebook #3. 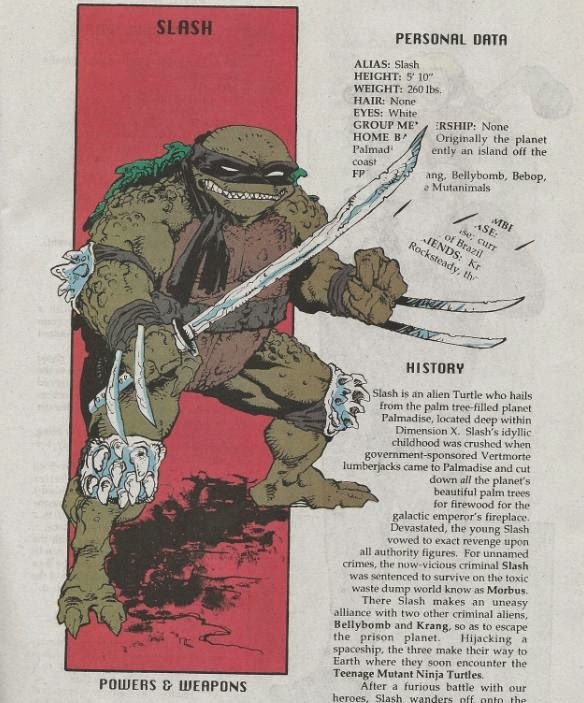 *Being released in early 1993, this issue featured info up through TMNT Adventures #44. 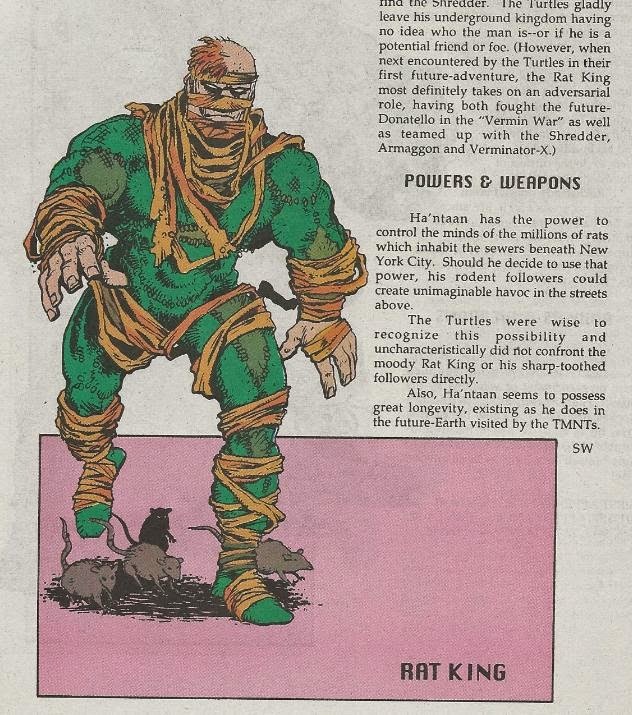 *This issue mistakenly lists the Rat King’s first appearance as TMNT Adventures #1 rather than TMNT Adventures #11. 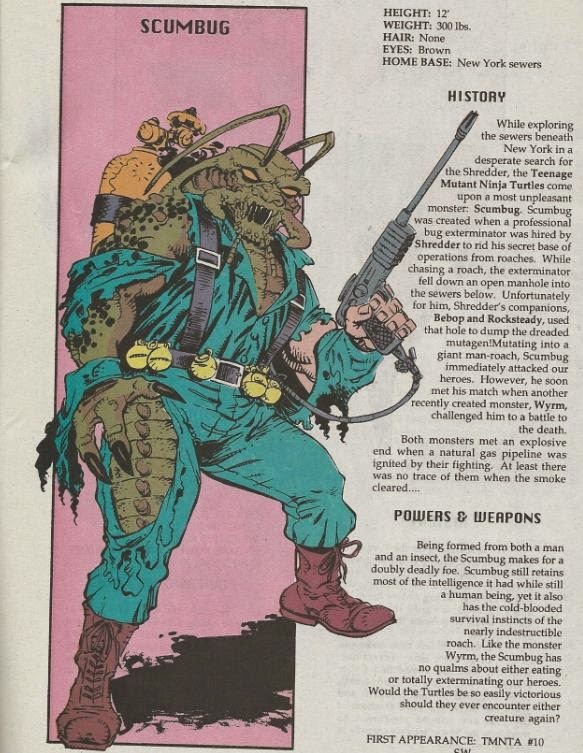 And lo, we have another installment of the TMNT Mutant Universe Sourcebook. I’ll try not to rehash my review for the first issue, since there isn’t a whole lot more to say about these things, but I’ll point out that I always loved them. In addition to organizing character appearances and stats, they gave a lot of additional background details on the characters that didn’t make it into the comic. For instance, I never knew Maligna’s spaceship was called the “Wyrdwind”, nor that Stump and Sling’s stagehands were named “Tyme and Fayme”. And going even deeper than random names, we get origins to characters who never had theirs told in the comic-itself for space issues (such as Chien Khan's). On the down side, Clarrain (Murphy) and his team of researchers don’t seem to go quite far enough with additional info. As an example, this would’ve been a great place to give the Uncanny Trio individual names, but they opt not to bother. Anyhow, my one real grievance with these sourcebooks that becomes apparent in this installment is that Robyn Harris tries to get too “clever” with the layouts and it sort of backfires. Characters that are drawn swinging swords in a “cutting” motion proceed to “cut” the text in half, or even into several pieces. This makes reading those sections of stats very, very difficult and very, very annoying. Ninjara, Slash and the White Ninjas are the major culprits. That’s all I really have to say about these things that I didn’t say in my last review. Even if the info is available online in places, I’d recommend them anyway if you dig Farley art, as this is a tremendous resource for his purdy pi’chers. Flipping through these a few weeks ago made me sad that the Mirage sourcebook is never coming out.